I've known many a Constellation collector who, chancing upon a Seamaster XVI, begins to salivate wildly - the writer no less so! There seems to be something magnificently Constellation-ish about these stunning watches released as a commemorative series at the time of the 1956 Melbourne Olympics. With their strong faceted and more extreme dog leg lugs, raised faceted markers and XVI Roman numerals, Dauphine hands and six and ten-sided crowns, they certainly deserve honourary membership of the Constellation club. I know that the price for the gold one in good state is about 2500-3000 USD who is not a small choice. I'm always waiting for your book about Your Omega Passion...I'll make advertising in France about it !!!!!! Best regards from Martin webmaster of THE Web site about "Apparel Arts" in french. I'm contracted to werite another book in my own field, but I agree, there's getting to be so much material that it wouldnt be hard to put it into book form. Good luck in your search for a good example. One of the examples in the post is for sale., The website is noted below it. Thank you for your articles about Constellation that are very useful for Omega lovers. Are there different dials of Seamaster XVI Olympiad? Differ from the one in this article. I saw one Omega in Thailand. It is 18 solid gold with XVI logo on its dial and on the back of the case. But no Seamster on the dial. Is it authentic? 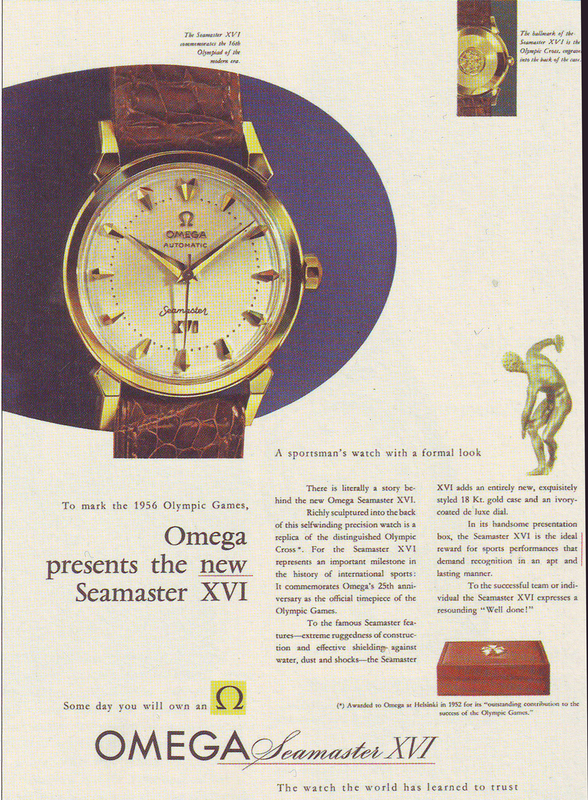 There should be Seamaster lettering on all case number 2850, except the olympic rings models. The Thai agent for Omega at the time, the C Huat Company,also had some other standard seamasters reworked with an olympic dial, notably models KO 2626, KO 2494 and KO 2854. I would need to see a picture of the watch to acsertain whether it is a redial. Thank you for kind comments on question about Omega XVI Olymiad. After I went through your article about Omega XVI Olympiad. I think the Omega with Olympic Cross Rings I saw is produced by Thai agent. Its movement is 501. Is it worth colleting? What is its market price? I think that these models would be worth collecting, and the main interest would come from Asia, and, in particular Thailand. Great article about the Seamaster XVI. Just the other day I decided to research the Omega that I bought in the mid eighties from a pawn shop. Turns out to be the XVI Seamaster. I always wondered what the Olympic rings meant on the case back! Hi Al, yes this is the red olympic rings version (there was also a coloured Olympic rings version too) and it looks pretty good. I would expect it to meet the upper end of its estimate. How do you identify the Thai Cross Model Retrofit without opening the case? The easiest way to tell is the case. Thai models will not have cases that have the same lugs, and of course there will be no olympic medal on the outer case back. Hi Desmond, Thank you for the useful info. What leather band would you recommend for this watch? Also what do you mean the same lugs? Are those Dog Leg style? yes, the lugs on the Thai models are lyre-shaped and XVI faceted dog-leg.. These models were advertised in colour spreads with a medium tan (NOT BROWN)crocodile. Looks great with these straps. BTW do you have picture of the advertisement from the 56? One ad is above - click on the pic for a larger version. I thought I'd added another ad to the essay but didnt. I'll chase one up and put it below the other ad. Ok Ive put another scan up, where you can see the dark tan colour and texture of the band. 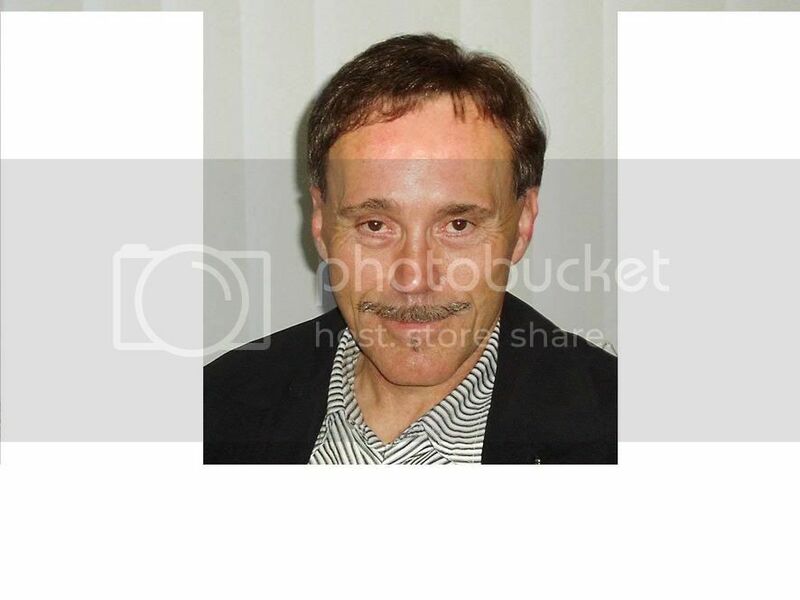 Found your website and would like to get some answers. .My grandfather fever my son a Melbourne Olympic seamaster , how can I evaluate it. Thanks for the good article. I have 4 of these watches, 2 with original creamy butter dials, aged though, and 2 refinished, 3 with 19 stones one with 20 stones Cal. 471. But I also have a steel one bought in Thailand Ref. 2923-1SC with a back having the olympic medal factory engraved or pressed an a dial with the 3,6,9 and twelf in roman. The movement is a handwound Cal. 284 and the movement No. 15373019, I wonder if its all original. Just another thin on your topic of Thoughts about buying a heirlom vintage Omega Constellation: well I own the very same watch you depicted what would be its value. Best send me some pics of your Constellation as it is easier to evaluate. Just click on my profile and the email link. I found one Seamaster XVI in the former flat of my grandfather. Thanks a lot for the amazing essay! Does anyone know how many of these watches have been produced by Omega? Hard to say as Omega will not release numbers except when a piece is a limited edition. As these watches were commemorative pieces I think the numbers would have been fewer rather than many. In original condition, they are highly collectible. Read your article with great interest. I am negotiating with a seller right now. I did my homework and it seems to be original, but just too perfect, and this is what scares me. What do you think? Hi David, Nice ensemble. And a good price too. I hope you were successful. Dial is original and it looks to have the original Omega strap. Is there something special about this one? I could not find any information on this model in your very comprehensive article. I's have to look at the dial. There were gold dials, which are very uncommon.